The "new farm" is located about 15 miles northwest of Maryville, situated in the rolling hills of Northwest Missouri on 220th Street (dirt/gravel road). 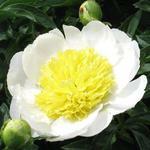 The drive from the old farm to Hollingsworth Peonies Farm is about 30 minutes (20 miles) via US 71 North to Hwy AB. Turn left (South) and follow Hwy AB for about 1.5 miles and turn right (West) onto 220th street. For a more scenic drive from Maryville take Hwy 46 West to Hwy AB, turn right onto AB (North). Follow Hwy AB for 4.5 miles and turn left onto 220th Street. While our mail route and zip code is that of Skidmore, the farm is actually located 4 miles southeast of Burlington Junction. 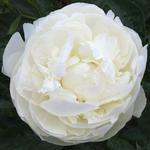 Potted peonies and customer service are available at the "New Farm". The farm is located on a dirt/gravel road. Especially after rain the road may be difficult to maneuver and regular street cars may get stuck. If traveling to the new farm use an all-wheel or 4-wheel drive vehicle with good tiers. Our plants are in open field conditions, exposed to full sun and wind, if it is a hot day, the flowers are at their best during the forenoon. Come prepared to walk in muddy rows if you wish to get close to the flowers. Allow yourself enough freedom of schedule to devote as much time as you wish to the viewing. The fields are not accessible to vehicles. Before coming to the farm check our local weather forecast. There are still lots of peonies to be admired at the old farm which is located right outside of Maryville about three miles southeast of town on 290th Street. The Farm can be reached via US 136 Highway and Jet Road (gravel road) for those approaching the area from the East. Approaching from north or south by US Highway 71, turn east at 282th south edge of Maryville at the traffic light, then follow the road to Jade Rd and turn right. About a mile down on Jade Rd turn left onto 290th Street and look out for the large white barn on the left of the road. 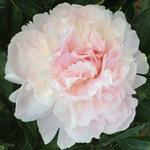 The peony plots are open to visitors during daylight hours seven days a week during flowering. Tours are self guided. The telephone number is (660) 851-1560. This is a busy time at the farm so leave a message and we will return your call as soon as possible. 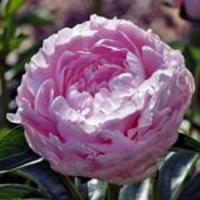 If the question can wait then email it to nursery@hpeonies.com. Our plants are in open field conditions, exposed to full sun and wind, if it is a hot day, the flowers are at their best during the forenoon. Come prepared to walk in muddy rows if you wish to get close to the flowers. Allow yourself enough freedom of schedule to devote as much time as you wish to the viewing.